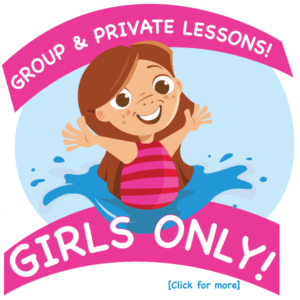 Swim Lessons for Ages 4 to Adult! Contact Brad for all lessons questions. Register for both new and returning participants. Pay the Pool Use Fee once per year. Pre-pay the lessons fees to ensure you've reserved your child's spot in the Swim Cleveland Lessons Program and Summer Swim Clinic, by clicking on the appropriate link below. Review the Learn-to-Swim six level progression. MANDATORY!!! You must pay for your session BEFORE your swimmer will be added to the session schedule!! Please complete these forms to register for all lessons programing. Please fill out this form to register for all swim lessons, each time. View the Aquatics Class Policies for cancellations, make-ups and refunds. Cost is $70/session, 30 minute class, once a week for 6 weeks. Each group there will have 3-5 participants per instructor. Pay for your group lesson now. Cost is $125/session, 45 minute class, once a week for 6 weeks. Pre-team will have up to 15 swimmers. Pay for your Pre-Team group lesson now. Semi-Private: Cost is $85/session for 6, 30 minute classes scheduled with the instructor. You must register 2 students/adults per lesson - $85 each per person. Adult Lessons: Cost is $70/session, 30 minute session, once a week for 6 weeks. Based on demand. Classes for levels 1-5 will be arranged upon demand between 5 and 7pm. Register by indicating your preferred time and your swimmer will be placed in a class as close to your preference as possible. Your class time will be confirmed prior to the beginning of each session. Please indicate if you prefer twice per week classes. Begins February 25 for 6 weeks. Begins April 29th for 6 weeks. Begins June 17th for 6 weeks. All classes are subject to demand. Please indicate a second choice on the registration page. Once you have pre-paid for your classes you will be contacted and class confirmation will follow after the deadline. We will do all we can to accommodate, however, for swimmer safety and student/teacher ratios, we need to enforce the Registration Deadlines. Thank you. The confident sport. The smart sport. The healthy sport. The funnest sport there is. Here are 10 reasons why it's the funnest!